Downtown Santiago, in a private home. 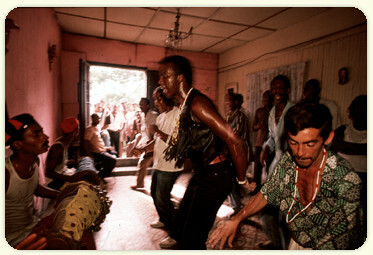 Men perform in a ritual dance in celebration of a "santeria" taking place that day. Santeria is a cult which blends popular Catholicism with Yoruba belief in the spirits which inhabit plant life. Santaria now has as many adherents as Orthodox Catholicism.